When it came to motion pictures, Marmora was not going to get caught standing still. In April of 1919, the Marmora, Deloro, & District branch of the G.W.V.A (Great War Veterans Association, predeceasor of the Legion) ordered the most up-to-date motion picture machine on the market at the time. It was manufactured by the Motiograph Co. of Chicago, and boasted having all the modern improvements - motor driven reels for a clear steady picture, clear lenses and using considerable less electrical current. 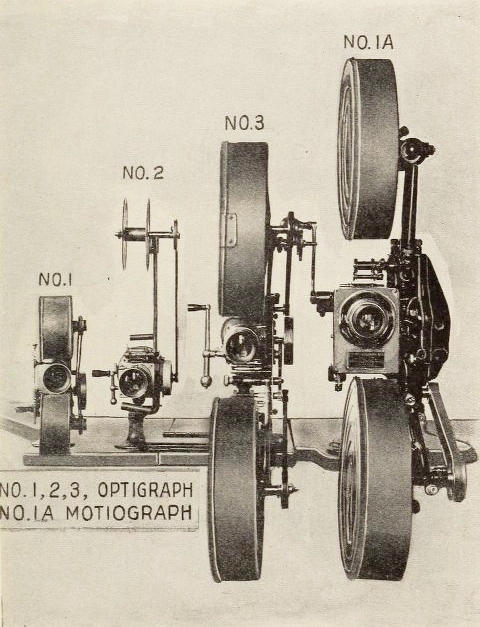 The "Motiograph", first sold in 1908, was the improvement of the "Optigraph". The Optigraph was invented by Alvah Roebuck of Sears-Roebuck fame commencing in 1896. Roebuck set up the Enterprise Optical Company in Chicago the year before and continued to produce Optigraphs until about 1911. The company eventually became the Motiograph Co.